Channeling Craig David with the title of my post because I'm so fly that the name Glayva reminds me of nothing other than the word 'flava' - that's street for 'flavour' if you aren't aware - and when I hear the word 'flava' all I can do is sing "What's your flava, Tell me what's your flava" over and over again in my head. Fear not, this is not an analysis of the street cred of Craig David, nor is it anything to do with "a chick named walnut whip" who he speaks of in the 'flava' song. This is about Glayva, a whisky liqueur whose name actually means 'very good' - I kid you not - from the Gaelic 'Gle Mhath' which was exclaimed after the first taste tester imbibed this Scottish treat. An 'exotic fusion of the finest aged Scotch malt whiskies, a carefully selected range of spices, Mediterranean tangerines, cinnamon, almonds and honey' this is actually surprisingly delicious, and my hesitation to try it because I'd never heard of it seemed petty once I tasted the smooooooth Glayva flava. Having acquired a bottle from a store cupboard clear out at work - who knows how long it had been there! - it seemed only fair that I give it a go before dismissing it based solely on its whiksy-like appearance. Moral of the story? Don't judge a book (or bottle) by its cover (label). I doubt very much that serious whisky aficionados like Vinspire's Hugo will enjoy this tipple - it's aimed at a much more commercial demographic and combines the tradition of a Scottish malt with the sweet spices of the East to lure in unsuspecting victims. For whisky drinkers it's just too sweet. Not really one for doing shorts on ice - though I did try it like this after dinner last week and it went down a treat - I wanted to find another way to enjoy it. Having found a Tea & Toddy recipe using Glayva, my excitement soon subsided when the recipe called for butter....in an alcoholic beverage? Erm, no thanks, back to the drawing board. 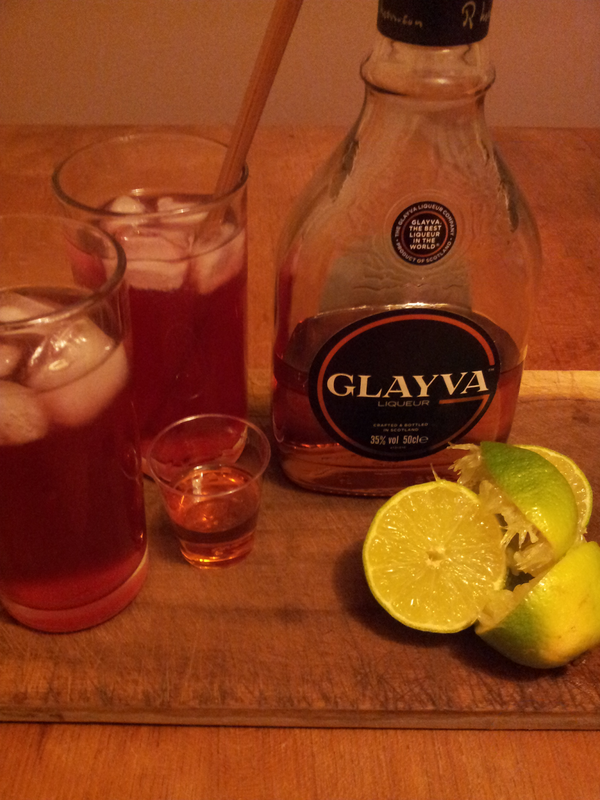 I then stumbled upon an awesome website called Cocktails of the World and discovered the Glayva Blush. I tweaked the details slightly and have decided to call mine a Long Scotty Cosmo - a long drink of Glayva on ice topped with cranberry juice and a dash of lime. It's not as strong as a standard Cosmo - though you could add in some Triple Sec too if you wanted - and Glayva's spicy sweetness of cinnamon and honey makes for an interesting twist. Tip? Make sure you've got plenty of ice for this one - it's refreshing when icy cold but could quickly turn sickly sweet in a no-ice situation! This sweet nectar is pretty easy to come by (though I am ashamed to say I had not heard of it before - hands up if you're an out of towner!) 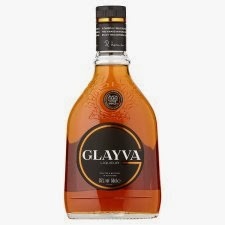 certainly if you're shopping online, or you can pick up a 50cl bottle of Glayva from Tesco for £14.00. Whilst the Glayva website kind of pushes the 'our name means very good' boat a bit too far, this distinct liqueur has earned the respect of the International Wine and Sprit Competition judges as it's won Gold a staggering six times, so I can see their justification. Glayva, you've got flava baby and I like you.